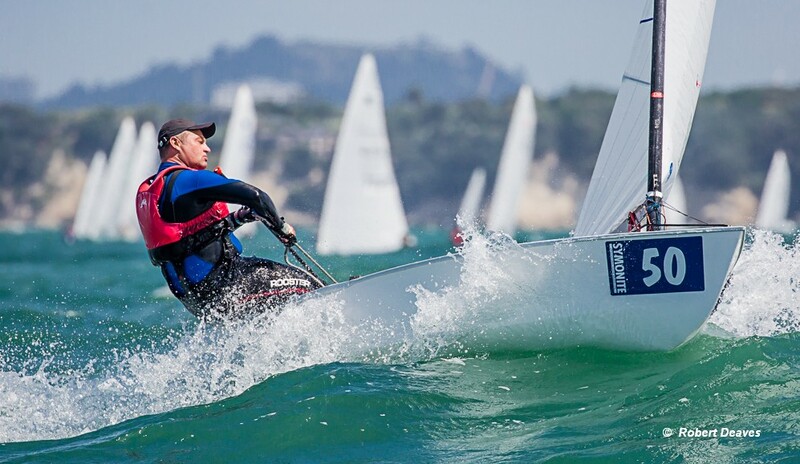 One hundred and eleven OK Dinghies from eight nations have gathered at Wakatere Boating Club in Auckland, New Zealand to contest the 2019 Symonite OK Dinghy World Championship. It is not only the largest-ever OK Dinghy event outside Europe, but also the first world championship held at the club. Wakatere Boating Club has left no stone unturned to try and stage the perfect event. All this effort was rewarded by the huge turnout of sailors from around the world, with five containers of boats joining the strong local fleet. The hype around the regatta has seen the number of local OK Dinghy sailors almost double over the past few years, with around 40 boats now racing at the club. The opening ceremony was held on Saturday evening. After an introduction by the Commodore, Simon Probert, the local Iwi Ngati Whatua O Orakei performed a Powhiri, which is a formal Maori welcome accompanied by song. Earlier in the day, after a grey and sometimes inclement morning, the practice race started in a solid 15-16 knot easterly. Soon after the start, the clouds cleared and the sunshine returned, and it turned into a fabulous day on the water. With a swell up to 2 metres and wind increasing to 20 knots. It was a tough race, but left smiles from ear to ear. Wakatere sailor, Mark Perrow led at the top mark from Dan Slater, also from the home club and Fredrik Lööf, from Sweden. Both passed him down the fast and furious reaches, but then both headed for home to leave Perrow with a huge lead that he capitalised on to record a large win. Former world champion Roger Blasse was some way back in second with Class President Mark Jackson in third, both from Australia. Racing for the 2019 Symonite OK Dinghy World Championship begins in earnest on Sunday. The weather forecast shows the possibility for some funky days ahead, to challenge one of the most competitive fleets to ever gather for an OK Dinghy world championship.